The nature of our political system forces members of Congress to perform at a sub-optimal level. As much as I enjoy bashing members of Congress, their at times ludicrous & consistently hypocritical comments, and their pathetic 18% approval rating, I must acknowledge that they’re all forced to enter the fray with one hand tied behind their backs. It’s the primary reason I personally have to stridently avoid ever running for a political office. Imagine yourself in the role of leader of some endeavor. It could be a business, a sports team, a charitable organization, whatever… Understanding the competence of each of your team members and assigning responsibility accordingly, is critically important to accomplishing any task that needs accomplishing. In a perfect world, a leader would assign whomever is best at executing X to actually execute X, whomever is best at executing Y to actually execute Y, etc. The world, however, is not perfect. Assigning the best-suited individual to perform each of the myriad tasks within any given project is possible on only extremely rare occasions. As leader, your job is to divvy up the ToDo list so that the job requirements and individual competencies line up as closely as possible. Somebody early in my business career gave me the simple model show here to the left as a tool for doing so. The advice I got was to ask each team member to list 3-5 things he or she was genuinely good at doing. 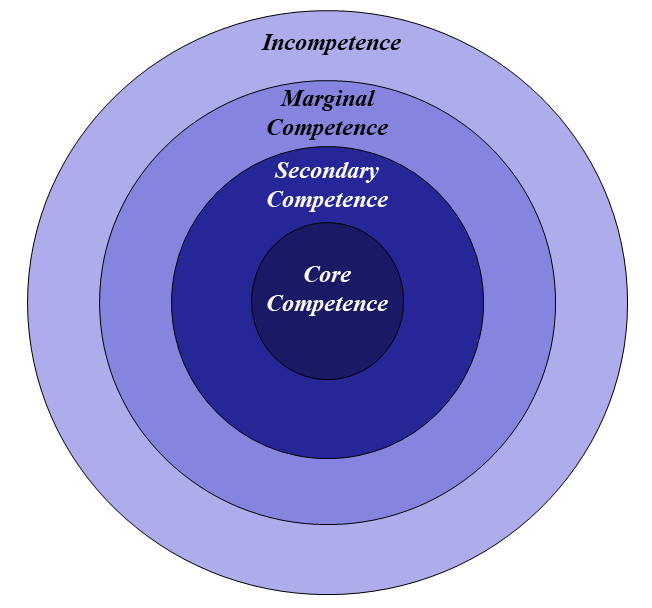 In other words, to identify their core competencies. The advice also included asking them to list 5 or more things they were “pretty good” at doing, along with 5 or more things that while part of the job, they weren’t so good at doing. So how does all this apply to Congressional Competence? The guts of the answer to that question lies in our political process. Specifically, it lies in the “getting elected or re-elected” part of our political process. On average, if you want to run for a seat in the U.S. Congress, you need to raise $2 Million. Do you have a spare $2 Million in your bank account? Take $2 Million and divide it by your annual salary. Better yet, take $2 Million and divide it by your annual take-home pay. What number do you get? How many years will it take you to accumulate $2 Million? Obviously, the overwhelming majority of Americans who want to run for Congress – many of whom would be outstanding at it – need to get the money from some other source. More accurately, some other sources – with an “s” at the end. Campaign finance law limits an individual’s contribution to a candidate or the candidate’s campaign committee to $2,700. Assuming you fund your campaign with individual contributions, you’d need 740 people to fork over$2,700 to you. Next question… How many times have you personally contributed $2,700 to an individual candidate? Me? I’ve never made a contribution to a candidate or political campaign. In fact, research from the Center for Responsive Politics reveals that only 0.4% of the voting age population donates more than $200! To get to $2 Million, you need each of 10,000 people to give you $200. Think about picking up the phone and calling 10,000 people. Let’s say each call takes 2 minutes. I’ll spare you the details of the math. That’s 42 work days for a solid 8 hours with no bathroom, food or anything breaks. That’s 8 weeks. Oh wait… What if a few people don’t cough up the cash? Realistically, there’s no way 10% of those you call will actually make any donation. Even at an unrealistically high 10% hit rate, you’re now up to 80 weeks of nothing but begging for money. So to win your 2 year term – your 104 week term – you need a minimum of 80 weeks for fund-raising. As a Congressional incumbent therefore, you can only devote 23% of your work effort to actually working on actual issues! The other 77% of your time is begging for money. Did I start this episode by stating that candidates for Congress are forced to enter the fray with one hand tied behind their backs? That was wrong… They’re forced to enter the fray with one hand tied behind their backs and jumping on one foot! 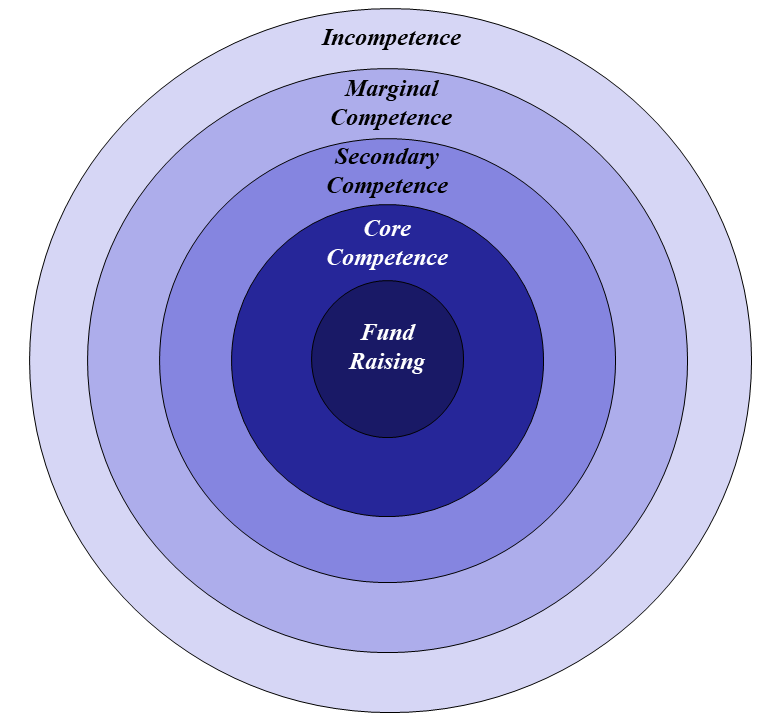 Bottom line, Fund-Raising displaces and overwhelms their core competence. I’m your Intentionally Vicarious host, Todd Youngblood – confident that I have a way to address this frankly horrifying issue – I talked about it in another IV episode called “The Futility of Campaign Finance Reform.” In a nutshell, my answer is the take 1/2 the federal budget and divvy it up among the 50 states to spend as they see fit. Oh, and yeah, I’m still having more fun that anyone else I know. Really good. My littlest sister has excellent taste.